Special orders are rare combinations of model / size / width which are not kept in stock, but will be made for you. Special orders require approx 6-8 weeks to allow production. If you are ordering goods for a specific event and have a set deadline, you must tell us about it at the time of ordering using special instructions section at the checkout. This way, if your deadline is unrealistic and it can’t be done, we will be able to advise you well beforehand. Credit cards are always charged on the day of dispatch of the goods from ZEM Dancesport UK to the customer. This Dancesport UK on-line shop is designed and hosted by Dancesportinfo.net and run by ZEM Software, the same company who runs www.dancesport.uk.com, UK's first website dedicated to Ballroom, Latin and other forms of partner dancing. We accept returns of all shoes and dancewear (incl. sale stock) if they do not fit within 60 days of the purchase date. Shoes or clothing has to be returned in the same good condition as received. For missing/destroyed shoe boxes we reserve the right to charge £5 per box. DVDs, Music CD can only be returned if faulty on arrival and will be replaced for the same title. Cosmetics are not returnable. Shipping charges are non- refundable, except cases if a mistake was made on our end. Your invoice number is your return authorisation number. Please enclose an original invoice or its photocopy with the goods you are sending back as a proof of purchase from us. Alternatively write your invoice number, name and address on a plain sheet of paper. Also enclose a note for us stating clearly if you require refund or exchange. If you are sending something back for refund or exchange please enclose a printed copy of your order confirmation or invoice (photocopy is fine). Alternatively write your invoice number, name and address on a plain sheet of paper. Also enclose a note for us stating clearly if you require refund or exchange. If you are sending the goods from outside of Europen Union countries, you have to fill in customs declaration. You should also write clearly on the outside of the package RETURN/EXCHANGE. This is for UK customs, who otherwise may stop the parcel and impose import duties, and may not allow the goods to enter UK. ZEM Software Ltd. will not be responsible for any packages lost by the Royal Mail, other shipper or not delivered to us for any other reason. UK customers are advised to return the goods by recorded delivery which is trackable. All our prices are shown in British Pound Sterling (GBP). We accept VISA, MasterCard, EuroCard, JCB, Switch, Solo, Electron cards, International money orders, and payments by British cheques. We also accept official purchase orders from British government and educational establishments. We regret, but can not offer credit terms to overseas customers. When you pay for goods by a credit card, YOUR credit card company automatically converts our GBP price into your currency, for example USD. The exchange rates used by YOUR credit card company may vary daily and we are unable to tell you exactly how many $ your credit card company will charge you. That is totally beyond our control. Any purchases from the Dancesport UK Shop will appear on your card as "ZEM / DANCESPORT UK". All prices are shown exclusive of VAT (sales tax). UK and EC customers will have VAT added at current rate. Other customers do not pay any sales tax. Your browser will go into secure mode as soon as you access the 'payment' page, i.e. before you enter any personal or payment details. You can check that you are shopping in a secure environment by looking for either a locked padlock or a key icon in the grey bar at the bottom of your screen. We only accept orders that are placed using Secure Socket Layer (SSL). This technology prevents you from inadvertently revealing personal information using an insecure connection. During payment, we also ask for your card billing address as an additional security check. Cookies are text files containing small amounts of information which are downloaded to your device when you visit a web site. The cookies we use are essential in order to enable you to move around the web site and use its features, such as accessing secure areas of the web site. Without these cookies services you have asked for, such as shopping baskets or e-billing, cannot be provided. These cookies don't gather information about you that could be used for marketing or remembering where you've been on the internet. Cookies are text files containing small amounts of information which are downloaded to your device when you visit a web site. The cookies we use are essential in order to enable you to move around the web site and use its features, such as accessing secure areas of the web site. Without these cookies services you have asked for, such as shopping baskets or credit card payment, cannot be provided. These cookies don't gather information about you that could be used for marketing or remembering where you've been on the internet. Waist: Measure around your natural waistline. Inside Leg: Measure from the crotch to the required length. Suits: The chest size ordered will determine the waist size and length of trouser. Latin, Ballroom and Sequence dress lengths are taken from the nape to the hemline of the skirt. All skirt lengths are taken from the top of the waistband to the hemline. Hip: Measure at the fullest part around the bottom. Skirt length: Measure from the nape of neck at back to finished skirt length and measure from top of waistband to hem also. Sleeve length: Measure from the shoulder joint to the cuff. Regular: Just what the majority of us (approx 70% - 80%) wear. Extra narrow: Have the width of 1 size smaller shoe. Narrow: Have the width of 0.5 size smaller shoe. Wide: Have the width of 0.5 size bigger shoe. Extra wide: Have the width of 1 size bigger shoe. Most of the shoes and dancewear are made to English sizes. For European, Japanese and US sizes please refer to the Size conversion chart (If you can not decide between two different sizes - use the larger one! Most shoes are made to give you rather tight fit). Due to various monitors, graphic cards, screen resolution etc. please note that the shade of colours seen on your monitor may vary slightly from the real product. Satin shoes are made white for easy dyeing to match your costume color. Some rare combinations of model/size/width/material are marked (Spec ord). These are "special order" shoes, which we do not stock. We will order them from the manufacturer for you, however on the condition that these can not be cancelled or returned. Also we are unable to guarantee any set delivery dates, as these shoes are often made to order by manufacturers. We accept VISA, MasterCard, EuroCard, JCB, Switch, Solo, Electron cards, International money orders, and payments by British cheques. We also accept official purchase orders from British government and educational establishments. We regret, but can not offer credit terms to overseas customers. When you pay for goods by a credit card, YOUR credit card company automatically converts our GBP price into your currency, for example $. The exchange rates used by YOUR credit card company may vary daily and we are unable to tell you exactly how many $ your credit card company will charge you. That is totally beyond our control. Any purchases from the Dancesport UK Shop will appear on your card as "ZEM / DANCESPORT UK". All prices are shown exclusive of VAT (sales tax). UK and EC customers have to add VAT at 20.0%. Other customers do not pay any sales tax. Your invoice number is your return authorisation number. 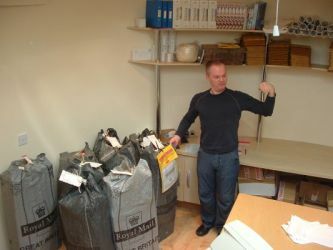 Please enclose an original invoice or its photocopy with the goods you are sending back as a proof of purchase from us. Alternatively write your invoice number, name and address on a plain sheet of paper. Also enclose a note for us stating clearly if you require refund or exchange. If you still have our original packaging, in some countries you might be able to send the goods back by simply writing RETURN TO SENDER on the package and handing them back to your local delivery person. This would not cost you anything, but it is your responsibility to check with your local post-office if that method would work in your case. If you can not send the goods back by "RETURN TO SENDER" service, then we suggest you use a plain, air mail small packet service. It should take approx a week from most countries to UK. (UK customers may use second class mail) Please note the postage costs are not refundable, except when a mistake was made on our end and we shipped goods different from what a customer ordered. If you are sending the goods from outside of Europen Union countries, you have to fill in customs declaration. You should also write clearly on the outside of the package RETURN/EXCHANGE. This is for UK customs, who otherwise may stop the parcel and impose import duties, which would create additional problems. Thank you for your cooperation in this matter, the returns address is above. No credit or debit card details are stored once your order has been processed. This is why you can save your favourite delivery address but need to enter your card details each time you order.